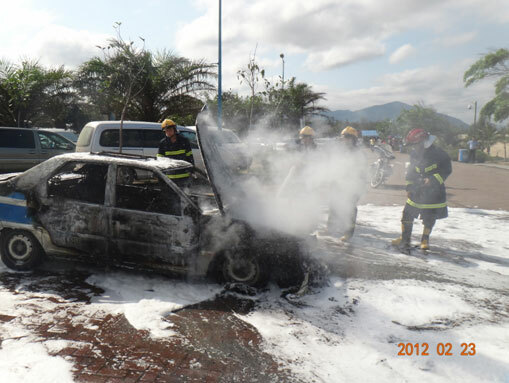 A taxi caught fire in the parking lot of Sanya Wuzhizhou Island dock at 3p.m.on 23th. Feb, according to the Sanya Fire Department. Fortunately no casualties was reported in the accident. The Sanya Fire Department dispatched two high-speed fire trucks with 12 firefighters after receiving the help call. 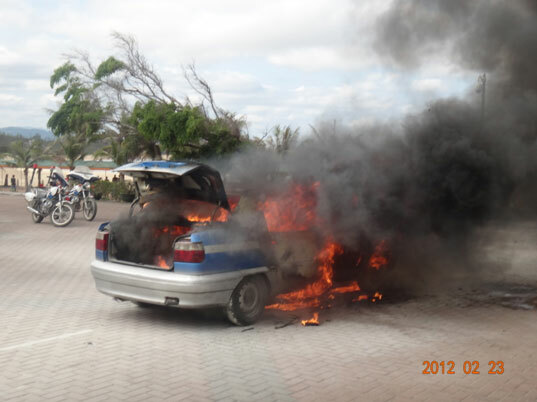 A taxi was found on fire, giving off an acrid smell when they arrived at the accident spot. The spot was blockaded after firefighters were informed of the gas tank leak, and the fire was put out at 3:25p.m.